When you sign into Huddle, the game can seem daunting, no doubt about it. The great thing about the game is that it is meant to be highly interactive, so its in your best interest to learn as much as possible as quickly as possible. The card sheet, which is the button on the bottom on the far left, is probably one of the most important areas of the game. Not only does it display your cards you own, but it can be used for making trades, seeing what’s available, and acquiring collecting targets. This is also the place where you can see statistics on the cards themselves, which are all extremely important aspects to the game. There are two sets of filters in the game, overall filters and card filters. These will determine which cards you want to see when you pull up the sheet. You will not be able to easily participate in the game without a good understanding of the way these work. Once you pick the overall filter, its time to select your card filters. This is easily one of the more helpful features available, especially as the game releases many of the thousands of cards that will eventually be available. To edit your card filters, click the up and down arrows next to the magnifying glass on the top right. Boost – Organizes the card sheet by which matching examples have the highest boost level in the game. Parallel – Organizes the card sheet two ways, first by which parallel each card is a part of, and secondarily by card count within a certain parallel (lowest count to highest). This is the sort I use the most. 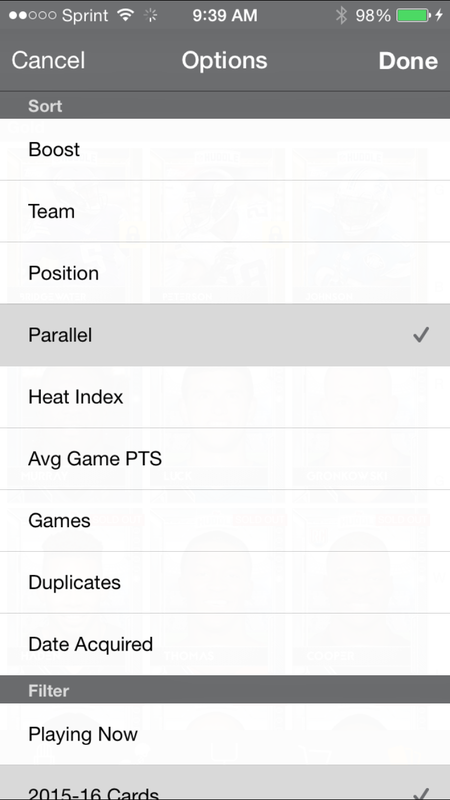 Heat Index – Organizes the card sheet by players by scoring temperature. Higher scoring players who have scored well consistently will be at the top, colder players at the bottom. Average game points: Organizes the card sheet by players who have the highest average point total down to the lowest. Games: Organizes the card sheet by upcoming games, so that each team’s matching cards for that game will be separated out. 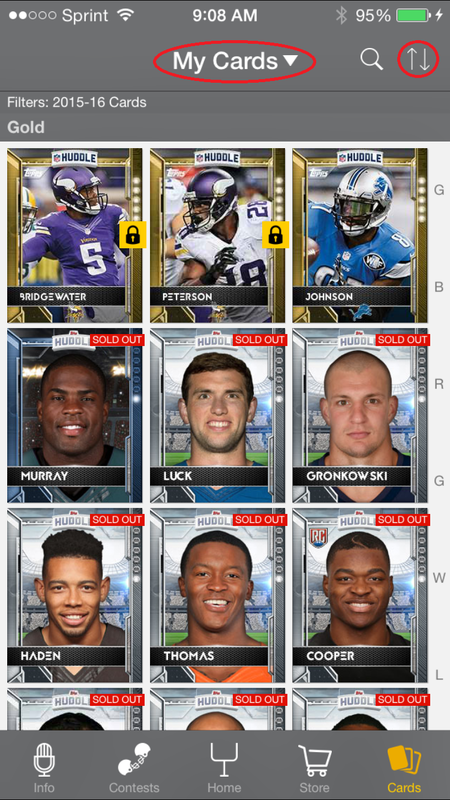 Duplicates: This only makes sense when viewing “My Cards” and sorts your collection by cards with the most duplicates. Date Acquired: This only makes sense when viewing “My Cards” and sorts cards by the most recent acquisitions by trade or packs. If your game crashes during opening packs, the cards will still be deposited into your account. They will be visible at the top of this sort when you sign back in. 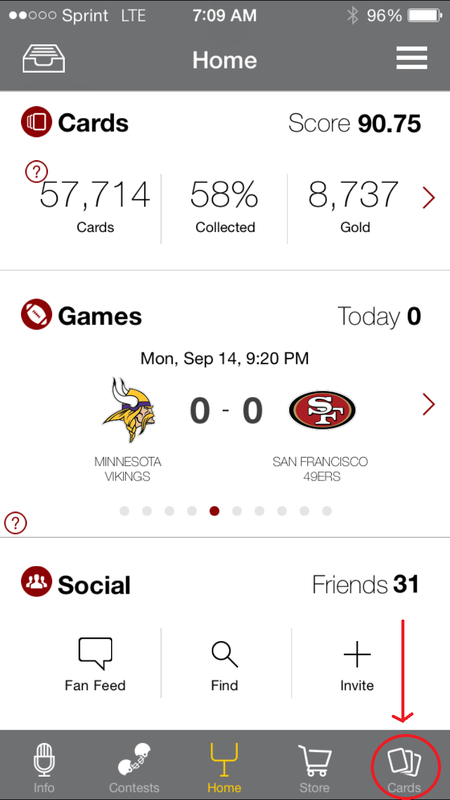 Playing Now: Will remove all cards from view for players that are not currently on the field. 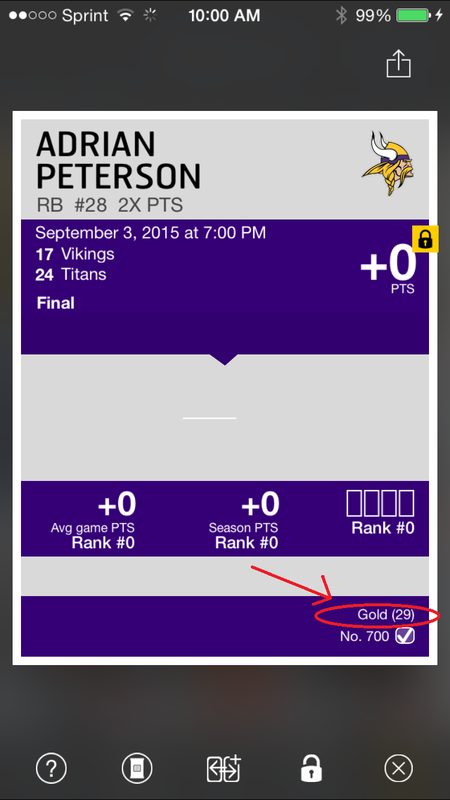 All displayed cards will be actively scoring points. Year: This is where older year cards can be added or filtered out of your list. My suggestion is to have only the 2015/16 cards visible unless you are actively looking for older cards. Cards I need: This is only available on “All Cards” and will remove all cards that you already own. Any card you still need will be visible. This is great for determining which parts of a set you still need. Using sorts and filters will eventually become a point of memorization, and dont hesitate to mess around and see what you can learn. You will find out pretty quickly which ones you want to use. There are a few different sections of your sheet outside of the color of the base borders. This is where your cards will be organized and I want to do my best to explain all the different parts as they have been used up to this point. Every part of any cards design is deliberate. It either showcases the boost or the set, and its helpful to understand what everything means. The front is the easiest to understand, as it displays the player and shows if it is base or insert. All base look exactly the same, they have the colored border with dots, and Huddle at the top. Different colors mean different things, which I will get to in a second. Inserts will look COMPLETELY different, and usually focus on a similar design that will match the other cards in the set. The dots on the front of the base cards represent how much boost a card has. The more dots, the more boost. Golds have 5 dots and 2x, and it drops by .25 boost down to 1x in the commons. As larger boosts are released, more dots will show on the front of the base. 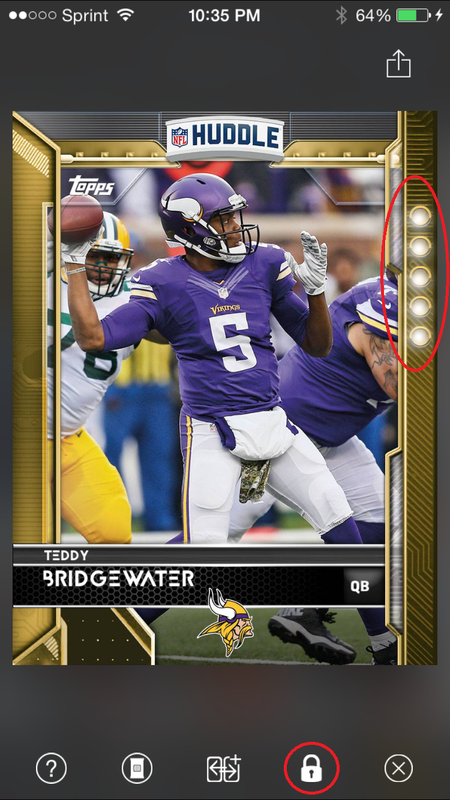 Inserts do not usually have dots, and will just display the boost on the back of the card. Cards can also have one of two labels applied in a red tag showing on the top right corner of the card. Sold out means that the card is no longer in packs and is only available through trades. Coming soon means that a card has not been made available yet, but might be in packs or given as an award shortly. To flip a card over and see the back, touch the card to bring it into your spotlight view, and then touch the side. On the back, you will see some very important things, including past scoring, current scoring, boost and card count. Im going to skip scoring for now, but check back tomorrow for a more extensive explanation. The most important thing on the back of the card is the count, which represents the number of that card that is in circulation at that moment. Cards that are not sold out will continue to increase, and the count will update live. You will need to deselect the card and bring it back into your spotlight to update the card. Continuously flipping front to back will not update the count. Many base cards will never go sold out, but almost all inserts will. The card count is a good indicator of rarity as well, and lower counts will always be more valuable. This is a really popular feature on the game because it prevents anyone from offering trades on a card you want to designate as locked. To lock a card, bring the card into your spotlight by touching it on the sheet, and click the lock icon at the bottom. You can lock any card, up to 25 total. You can make offers with your own locked cards in a trade, but no one will be able to make offers on the cards you have designated. If you send an offer with a locked card in a trade, any counter offer will remove the card from the deal. If you are posting that a card is for trade in the feed or articles, make sure it is unlocked or you will not receive any offers for it. One of the great things that is available from the main “All Cards” sorted card sheet, is the opportunity to select and send “blind” offers on a card you are looking for. To do so, all you have to do is touch the card you want to bring it into your spotlight, and touch the trade icon. This will bring up the standard trade process, where you can select which of your cards you are willing to give up. 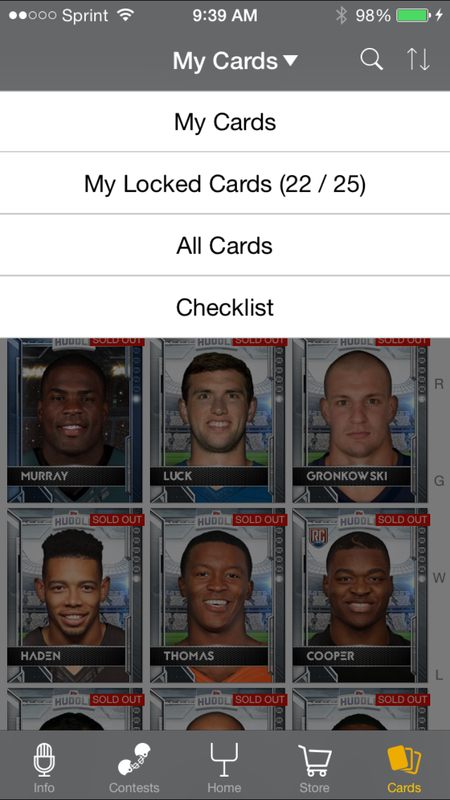 It will also bring up a list of users that have the card unlocked for trade. Before making an offer on a card from the sheet, make sure the card has more than a 0 count on the back. New User Tips is a running series on Digital Card Central – If there are any other questions you have about the nuance of the game, please do not hesitate to tweet me @SCUncensored or through a same card trade with a message in the game. If you have ideas for future New User Tips – please let me know!